The German Federal Court accepted the appeal on the label Balsamic of the Consortium for the protection of Balsamic Vinegar of Modena and postponed the procedure to the EU Court of Justice for a preliminary ruling. Germany has been the theatre of the last legal struggle for the protection of the label Balsamic; this time its opponents are the Consortium for protection of Balsamic Vinegar of Modena IGP and Balema, a small German company that has bottled fruit flavored condiments and vinegars with the label of “Deutscher Balsamico” (German Balsamic). 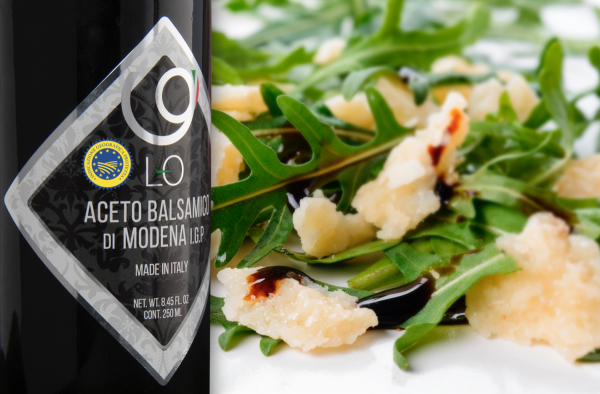 This led the consortium to sue the company in court, since the label Balsamic was considered unacceptable for such imitative products. In the end it will be EU Court of Justice to determine whether the label “Balsamic” can be used to label any condiment or not. The whole story started a few months ago. The first instance sentence of the court of Mannheim was strongly favorable to the the Consortium; but then the sentence of the Court of Appeal of Karlsruhe denied the possibility to protect the label “Balsamic”. The German federal court had the final word: it accepted the appeal of the Consortium and decided to bring the procedure to the Court of Justice of the European Union for a preliminary ruling. “The postponement will finally lead to the formulation of a precedent applicable throughout the Community territory. This is a fundamental step to achieve full protection of our label; this concerns especially evocations and imitations of our original product” said Federico Desimoni, director of the Consortium. In fact, this new legal framework could lead to the elimination from the EU market of any product imitative of Modena’s original Balsamic Vinegar and could result in new market opportunities. Next chicken alla cacciatora: The perfect recipe! Traditional Balsamic Vinegar of Modena DOP: where is its price coming from?